CONCEPT: Duncan is a normal teenager...except that his Mom is a suburban hausfrau and his Dad is a colossal, Tokyo-stomping dragon. Their divorce leaves him struggling between fitting into a human society that often fears him or ascending to his fathers throne as king of the monsters. 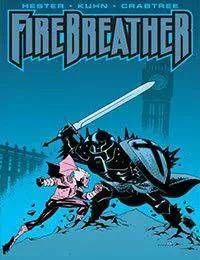 THIS ISSUE: Duncans class trip to Europe should be an exciting diversion from his troubled home life, but when he sets foot on British soil, ancient forces stir and an unstoppable armored giant begins a rampage that can only end with Duncans death.